Members – Sign in and Go to Submit/ Update Profile to submit or update your Profile in this Directory. To search the directory below, hold down Ctrl and press F to open the search box in your browser. Click Here View All Professional Members. 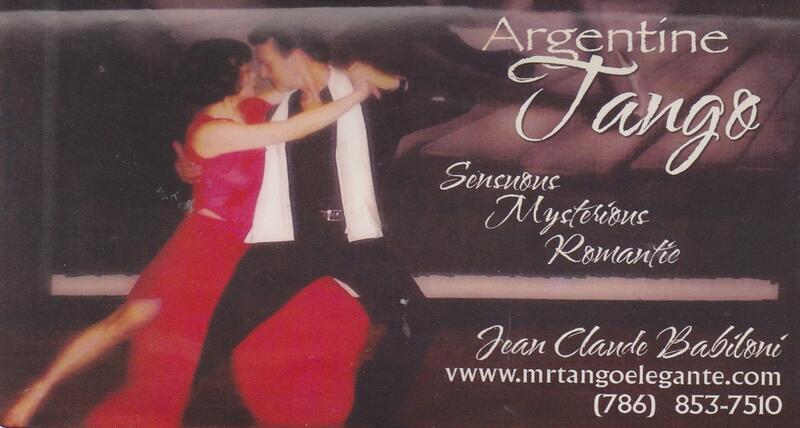 I have been teaching Argentine Tango in Argentina and performing around the world for 20 years. My main residence is in Miami, where I teach for different communities. Add to Address Book. Updated 2 years ago. Mandy Ball has been teaching ballroom dancing for over 30 years. Mandy is a Fellow with the USISTD and NDTA in Ballroom and Rhythm, and holds Licentiate degrees in the Smooth and Latin styles of dancing. She is currently the USISTD Examinations Director and an Examiner for the NDTA. She trains both professional and amateur dancers for social and competitive dancing as well as for dance examinations. Have Performed in Various Showcases in South Florida. 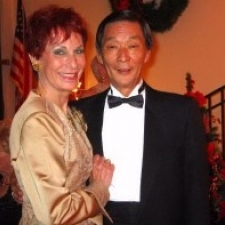 I have taught Ballroom Dancing at Adult Community Centers, and continue to teach individual clients. I grew up in an Italian family, where dancing was an Integral part of our lives. We always danced whenever the family got together. My fondest memories are of dancing with my mother, grandmother, aunts, uncles and sisters during Family and Holiday Celebrations. 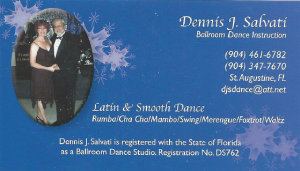 I have been dancing Ballroom over 20 years, and am honored to receive my certification. Add to Address Book. Updated 10 months ago. Fellow ADTV Germany, “A” Class Trainer of the German National Sport Association. In 1972, Gus began a career as a Dance Teacher. He received his Master’s Degree as a Dance Sport Trainer in 1974. In 1976, he was designated as an “A” Class Trainer of the German National Sport Association. 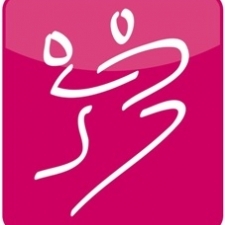 As an “A” Trainer of the German National Sport Association, Gus rigorously trained dance couples from 6 years to 80 years of age for participation in Competition. During his career in Germany, he trained 60 Champions and Vice Champions. Subsequently, Gus opened four ballrooms in Germany for social dancing, competition training and also for teacher training. From 1981 to 1994 he was also a certified Dance Therapist for spine and joint injuries at the Recreations Clinic “Haus Niedersachsen,” Bad Nenndorf in Germany. In 1999, Goetz Braun, Jr. his son, assumed the responsibilities for the 4 ballrooms and Gus relocated to the United States, where he settled in Ft. Lauderdale, Florida. 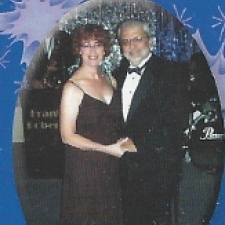 Gus and his then partner opened the Sunshine Ballroom in Ft. Lauderdale, Florida where he taught International and American style ballroom dances and hosted frequent dance parties from 2001 until 2006. 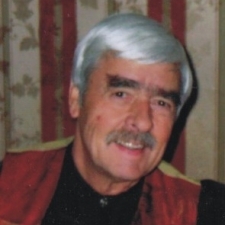 In 2006, Gus, moved to Kingsland, Georgia where he teaches International Ballroom and Latin dances in private and group lessons. 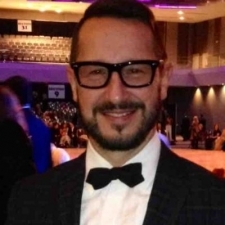 In 2008, Gus moved to London, Ontario Canada where he continues his teaching career in International Ballroom and Latin and offers private and group lessons. Jody Dancer is the Past President, and Past Vice President, Treasurer and Membership Chair of the National Dance Teachers Association of America (NDTA). She and Karen Donaldson have recently announced their agreement that Jody will take over ownership and management of Star Ballroom from Karen early in 2017. Star Ballroom, located at 2305 East Atlantic Blvd. in Pompano Beach, FL – just 3 blocks east of Federal Highway on the North side of Atlantic Blvd., has for years acted as the official venue for NDTA Meetings and Seminars. Star Ballroom teaches private lessons, group lessons and wedding preparation customized instruction, in addition to holding regular social dances. The Ballroom also has a tempting boutique for dance clothes, shoes and misc. dancer items. 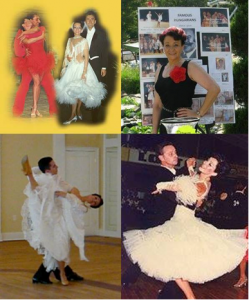 Jody is a Certified Nia Black Belt Instructor, USISTD Certified Ballroom Teacher in the USISTD American Style syllabus, and a Certified American Rhythm Teacher, in addition to being a Wedding Dance Choreographer. Jody draws from years of competing, performing, and a lifetime of studying body movements to inspire and encourage dancers to experience the joy of dancing. Karen Donaldson served with distinction as Past Secretary of the National Dance Teachers Association of America (NDTA), for many years. Karen has been for over 20 years the owner of Star Ballroom, located at 2305 East Atlantic Blvd. in Pompano Beach, FL – just 3 blocks east of Federal Highway on the North side of Atlantic Blvd. She has recently announced her retirement, and intention to transfer ownership and management of Star Ballroom to Jody Dancer. Star Ballroom has for years acted as the official venue for NDTA Meetings and Seminars. The Ballroom teaches private lessons, group lessons and wedding preparation customized instruction, in addition to holding regular social dances. The Ballroom also has a tempting boutique for dance clothes, shoes and misc. dancer items. Karen grew up in a small town in Ohio where dancing was a primary recreation, especially square dancing and “jitterbug”. She decided to seek fame and fortune in Chicago, where she worked in various fields, including insurance and travel, before discovering the warm climate and moving to Florida. At the urging of a good friend and neighbor, she started formal training in ballroom and decided to pursue ballroom dance as a career. Star Ballroom, Inc. provides a social and educational forum for all ages — from 6 to 99 — with the additional benefit of exercise with music and a smile! Karen is pictured above with her long-time companion, Ronnie Gardner, who sadly passed away last year. Lois Englund is a professional dancer/choreographer/director and teacher, who won acclaim for her portrayal of Val in “A Chorus Line” on Broadway, and the National and International companies. In her long professional career on Broadway, TV and film, she performed in over a dozen Broadway shows, including “Bob Fosse’s Dancin”, “Carousel” “Showboat” “Annie” and “Cabaret”. Lois had the honor of working for notable choreographers/directors like Michael Bennett, Bob Fosse, Gwen Verdon, Ann Reinking, Hal Prince, Agnes DeMille, Margo Sappington, Gillain Lynne and many others. She served as Artistic Director and Professor at New York University Tisch School of the Arts; and Dance Dept Head of Musical Theatre Works Conservatory in NYC. She also taught ballet at University of Rhode Island, Ballet Hispanico in NYC, and Theatre Arts Dance America, as well as many local dance studios in NY and NJ, including Fred Astaire Dance Studios. 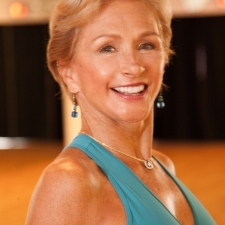 Lois has taught master classes, summer intensives and judged dance competitions all over the country. She also directed touring productions of A Chorus Line, Desert Song, Best Little House, The New Yorkers, as well as choreographing ballets for numerous Ballet and Ballroom companies world-wide. 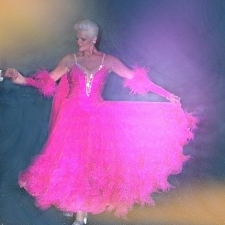 She holds the world title as Theatre Arts World Champion 2012 in the Ballroom competitive community. Lois is a member of Actor’s Equity, Screen Actor’s Guild, Society of Stage Directors and Choreogrpahers, Associated Bodywork and Massage Professionals, Yoga Alliance, and National Dance Council. 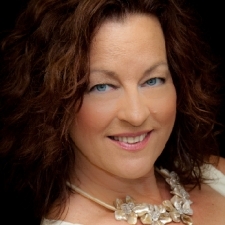 Lois is also a certifed and accredited yoga teacher, ballroom and latin teacher, and licensed massage therapist. Certified at the Licentiate level in International Standard, International Latin, American Rhythm and Theater Arts with the Imperial Society of Teachers of Dance (ISTD). Lee Fox is a true Southern gentleman and hails from Macon, Georgia. When in college he caught the dance bug while performing in musical theater. He started his dance career in Atlanta training at Fred Astaire Dance Studios during the disco era of Saturday Night Fever. After furthering his training in New York he opted for the vibrant dance scene of South Florida. Lee has been teaching dance since 1978. He teaches all dances in the Ballroom, Smooth, Latin, Rhythm, Swing, Hustle, and Country/Western categories, and he teaches at all levels from beginners to intermediate to advanced level choreography and competition coaching. Lee trains dance teachers for examinations for professional certifications. Adjudicator and Invigilator with USA Dance. Lee is actively involved in teaching group classes to the communities of South Florida reaching from Miami through Fort Lauderdale and into Boca Raton. His classes and lessons take place at Star Ballroom, Goldcoast Ballroom and several other local studios and venues. Add to Address Book. Updated 2 months ago. RSROA National Three Time Roller Skating Champion 1976 in Ft. Worth Texas and Skater of the Year 1977. Also held certified judging commissions in artistic dance, figures and free style for over 20 years. Provide dance instruction at various venues. Teach couples in individual sessions. Trained by Rickey Geiger in 2002. Received Teachers Certificates in American Rhythm and Smooth, Bronze Level. 1986-1996, classically trained by Diane Socha & Karen McNamara of Starmakers Dance Academy. Trained with renowned choreographers and dance educators, such as Frank Hatchett and Joe Lanteri. Certified Youth Sports Coach with the National Alliance of Youth Sports since 2013. Certified artist for the City of Peekskill, NY since 2015. Certified dance teacher with National Dance Council of America. 2002-2006 worked for the City of Wildwood as a Youth Sports Coach teaching recreational cheerleading. 2009-2014 worked as the sole proprietor of Standing Room Only Studios, hosting dance workshops at local facilities. 2014-present work for New York City Dance Alliance and Onstage New York as staff. 2014-present work as manager of DanceTemp, a dance instructor placement service. 2016-present cheer coach and dance teacher for Young Champions of America. Ballroom Director DANCE MASTERS OF AMERICA for 7 years. INSTRUCTOR TRAINING SCHOOL KENT STATE UNIVERSITY. BALLROOM DANCING for future teachers. United States Ballroom council achievement examiner. United states Ballroom competition judge. Began teaching Viennese Waltz in High school Pageant. Combined Gymnastics with Ballet to preform ADAGIO dancing with my partner as MARLO & ADRIAN. Left High School in June and opened in New York City at the ASTOR Hotel on Time Square. JIMMY DURANTE was the HEADLINER. At 17 we attracted TV shows for STEVE ALLEN, KATE SMITH and THE ARTHUR GODFREY AND FRIENDS Wednesday night spot. Several years of preforming in Vaudeville theaters, Night Clubs and Fair Shows. The NAVY took me and Adrian became TERRY MOORE’S ‘STANDIN’ for the movie BENEATH THE TWELVE MILE REEF, WITH ROBERT WAGNER. After ship docked each night, I taught Dancing to the mostly Military and USO in KEY WEST, FL. MOVING TO MIAMI I taught in two commercial studios for about two sales meetings each and opened my own for after 8 hours at HERTZ so I’d have something to do!! The MARLOW BALLROOM lasted 30 years in Hialeah, FL. Lessons every night, Friday Live Band Dances, and Weddings etc. on Saturdays. Sundays were repair, fix and cleaning. OH HAPPY DAYS!!! Too often the STAFF of NDTA gets very little THANKS for the many hours and personal money spent to offer material needed to keep us informed. I have seen Jim Forest (our founder) video many VHS tapes and gave them away. My dance partner for Cotillion classes, Christine Bell helped him make disco tapes and my friend and fellow ADAGIO dancer Francois Szony made tapes of LIFTS, all to help others. Karen has been so thoughtful and has done so much to help NDTA! 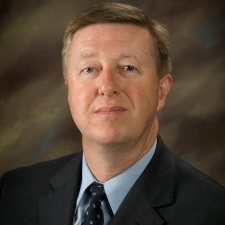 Lee Fox has been our on going mentor, keeping our meetings informed and our programs to please everyone. How can we begin to say THANKS except by bringing in new faces and helping where we can. Maria McGill President Designs to Shine, Inc.
President, Designs to Shine, Inc.
NDCA Championship Certified National Judge in all Ballroom Styles including Theatrical/Exhibition and Performing Arts. Susan Silva is an NDCA National Championship Certified Adjudicator in all styles of Ballroom Dance plus the Performing Arts. Susan started dancing in NYC at the age of three, and has appeared on Broadway, Television, and Films. She toured with the Beatles in the mid 60’s, as part of the Discoteque Dancers and appeared at Shea Stadium. 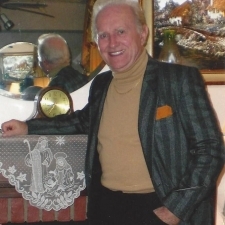 Former Theatrical, Exhibition, and American Style Champion with David Van Hamilton. They also were Adagio night club performers for many years, and danced in Blackpool at the Exhibition Invitational. She is the author of a Theatrical Ballroom Syllabus, Choreographer, Coach & Lecturer. 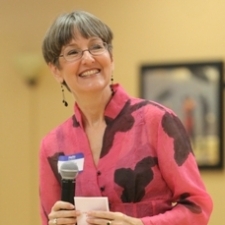 Susan writes a column for the Dance Beat Newspaper called Dance Life Coaching. She is also a Personal Dance Life Coach, certified and ordained to council people in all areas of life. Susan is an ordained minister and is married to Gerald Nikirk. They have an international ministry and television show, http://www.nikirkvoice.org Her vision is to see The Glory of God in every area of dance, especially the Ballroom Industry. Teacher Certification in American Rhythm Dance. First in Mambo in the bronze level at the 2015 Ohio Star Ball Championship – The largest and most prestigious dance competition in the United States. Second in all five Rhythm dances in the silver level at the New York Dance Festival in Manhattan. 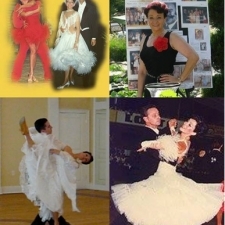 Over my years of competing, I also won numerous First and Second Place awards in bronze level Rhythm and silver level Smooth at the Constitution State Ball in Connecticut and other competitions. I have been trained by some of the greatest professional dance instructors in the industry. After competing in ballroom dancing for 15 years I decided to share my energy and knowledge of dance by becoming a certified instructor. Social Ballroom Dancing can improve your health, provide a platform on which to make new friends and even form new relationships. People often learn how to dance but fail to put their skills into action. They may lack confidence to get on the dance floor or they may feel uncomfortable going outside to new venues. If you want to become a dancer, I can teach you the basic steps and build your confidence so you can feel comfortable on the floor. If you want to advance further, I can teach you techniques that competitors use so you will stand out in a crowd. Let me add a new dimension to your life by helping you learn how to dance. Master: International Standard, International Latin, American Smooth, American Rhythm, and Theater Arts. Percell began his studies in theatre and dance at the age of 10. Becoming an accomplished vocalist, he performed with several well known recording artists. His passion for the theatre led his theatre credits to include such Broadway productions as WEST SIDE STORY, JESUS CHRIST SUPERSTAR, THE WIZ, AIN’T MISBEHAVIN’, and CATS. He has been seen on television in programs and several commercials, and was featured in a short lived series on TLC, The Learning Channel. Percell has directed and/or choreographed professional and amateur productions, and is in constant demand for his competitive choreography. He has taught and choreographed for state and national pageants and drill teams; the UNIVERSITY OF HAWAI`I (MAUI), the UNIVERSITY of SOUTHERN MISSISSIPPI, professional and little theatre companies, grades K – 12, and the State Arts Councils in Alaska and Hawai`i as an Artist in Schools/Artist in Residence. 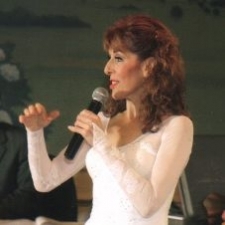 Career highlights include; owning/operating 2 highly successful studios in Alaska and Hawai`i, organizing programs for other studios in several states, co-directing and choreographing the 10 month tour of the hit musical “The Soul of Argentina: A Tribute to Tango”® (2002); teaching the ballroom, latin, and tango dance program at the University of Hawai`i Maui College (1996-2001); co-sponsoring the Alaska touring production of “Milonga Boulevard” (1998). He choreographed, and performed in, the MS staged production of “Tango Valentino” (2007). Percell is a regularly sought after instructor, known for his technical, yet upbeat, fun, and moving classes, and his professional certification and amateur dance training programs; DanceKinesis and TangoKinesis. He teaches all forms of Argentine Tango, ballroom and latin dance, jazz, tap, flamenco, and hula. Recognized by many national dance councils, he is currently the only internationally certified, Championship Level ballroom dance coach and adjudicator in Mississippi. Elisabeth Tarodi is an International Adjudicator and Coach & Former National 10-Dance Champion of Hungary. Represented Hungary at many Major Dance Competitions for 26 years. Trained by professionals of the Arthur Murray organization as well as Instructors like Julius Kaiser, Bobby Maderis, Ron & Patty Troy at Reflections Ballroom, etc. Currently teaching Dance at Boynton Beach High School and Atlantic High School in Delray Beach, FL. Graduate from Bryant College. Received a BSA & MST. Have been practicing Accounting and Taxation for many years. I currently represent taxpayers at all administrative levels of the IRS (Audit,Collections & Offers in compromise). I am an Enrolled Agent and a Fellow in the National Tax Practice Institute. Herb Vazquez, a Professional Member of NDTA, is a successful studio owner, Competition Organizer and a World Event Coordinator. 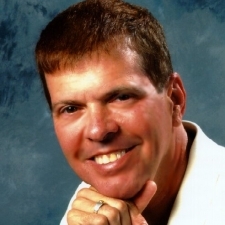 He is a Certified Fellow in all five dancesport styles and has been awarded Top Teacher in America numerous times. Herb is a recipient of a Lifetime Achievement Award for Excellence in Championship Dancing. He has partnered numerous United States Champions and has demonstrated and promoted American-Style dance at venues around the World.